It was my wife’s turn to pick a restaurant this time. 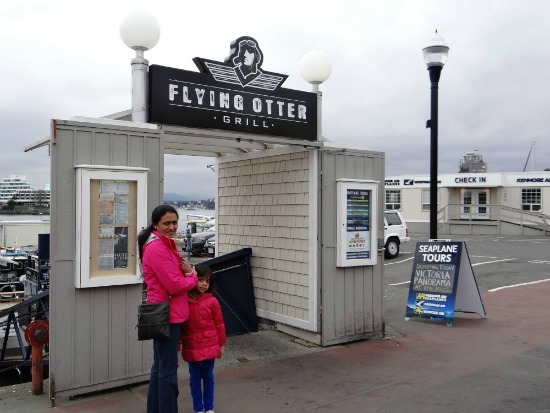 Her choice caught both me and my daughter by a bit of a surprise - “ Let’s go to the Flying Otter’s Grill and have a meal by the sea”. The date is Feb 11th. Victoria is the warmest spot in Canada during winter. Very often we have cherry blossoms start blooming at this time of the year. The seaside still could get quite chilly even here during the month of February. 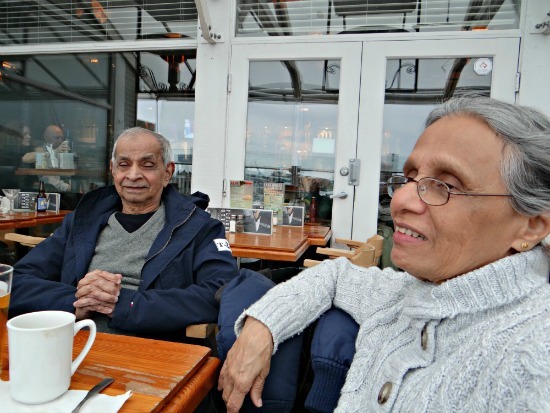 Chammi heard from her friend that they have a warm dockside patio and superb food. 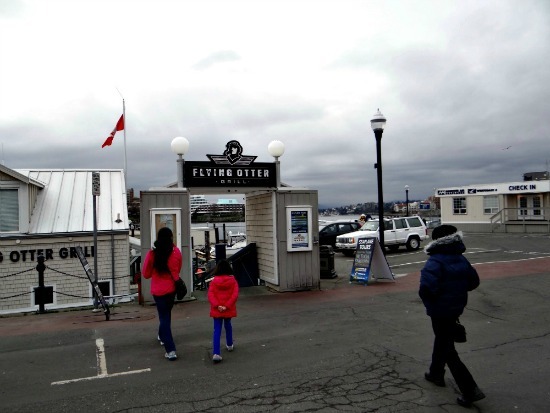 The Flying Otter Grill is one of the floating Victoria restaurants in the inner harbor. 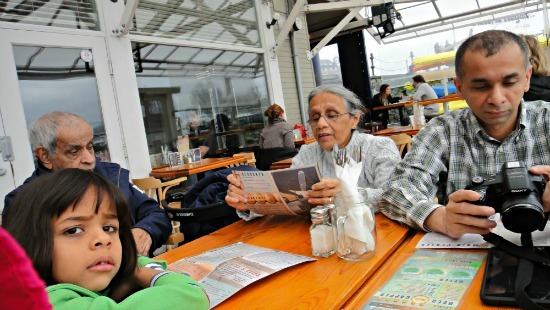 There are many seaside Victoria restaurants. 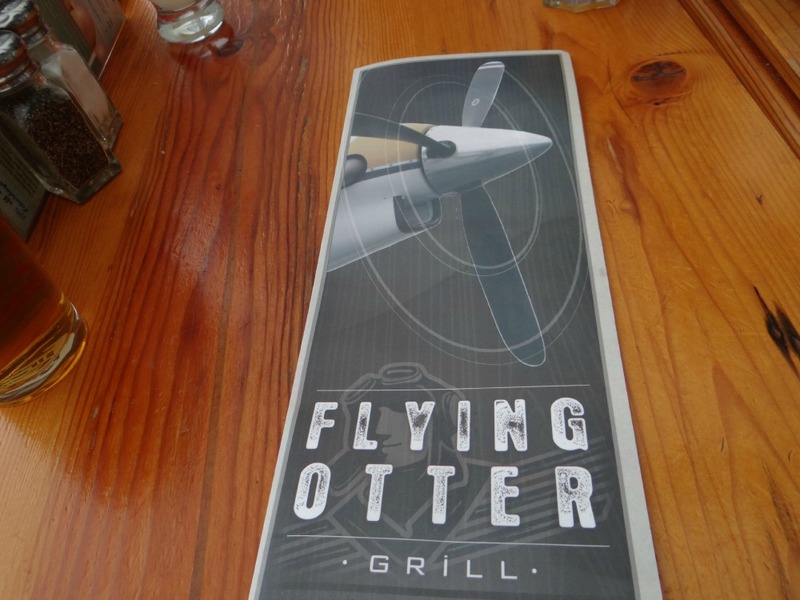 This is the first time we are heading to Flying Otter Grill. Are we going to have a good dinner this time……………? 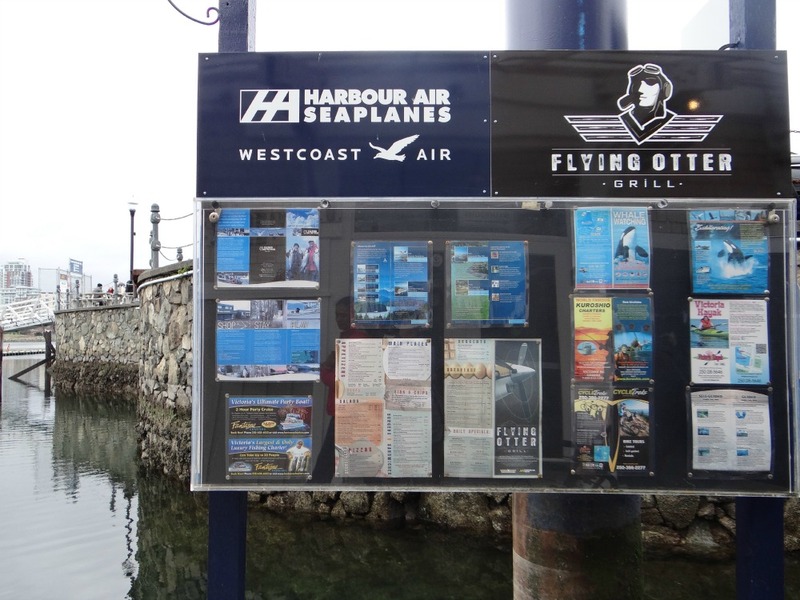 The restaurant is next to Harbour Air / Kenmore Air terminal. So there is ample parking right in front of the restaurant. Oh! Don’t forget It’s paid parking so feed the parking meter before your feast. Restaurant entrance is at the sea level, there is a nice walking path down to the dock “no stairs”. So all, young and old folks can get in there easily. This is a first come, first serve restaurant in Victoria unless you are visiting with 10 or more. So reservations not needed. Friendly server greeted us warmly at the entrance. My wife said we need patio seating with a nice view. We were very excited because the waitress seated us in a place where we exactly wanted to sit. Wow! I was quite impressed indeed. They have covered patio right by the water. Nice view of the ocean. 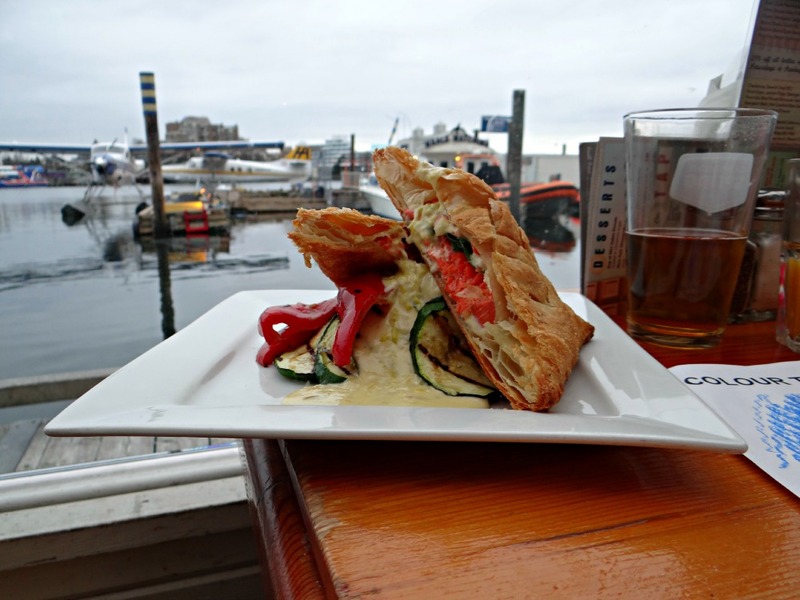 I can see seaplanes moving, whale watching boats and all the activity in the harbor. 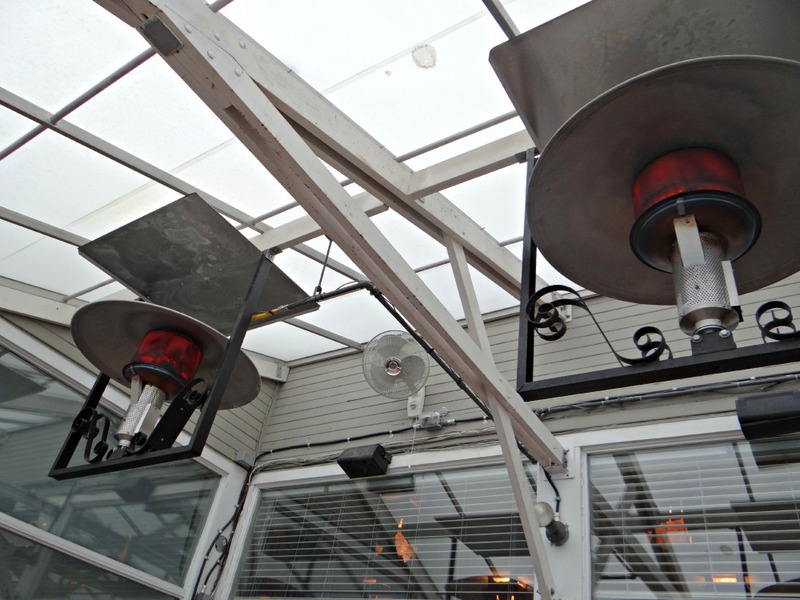 There are red hot ceiling heaters. That's what kept the patio quite so warm. 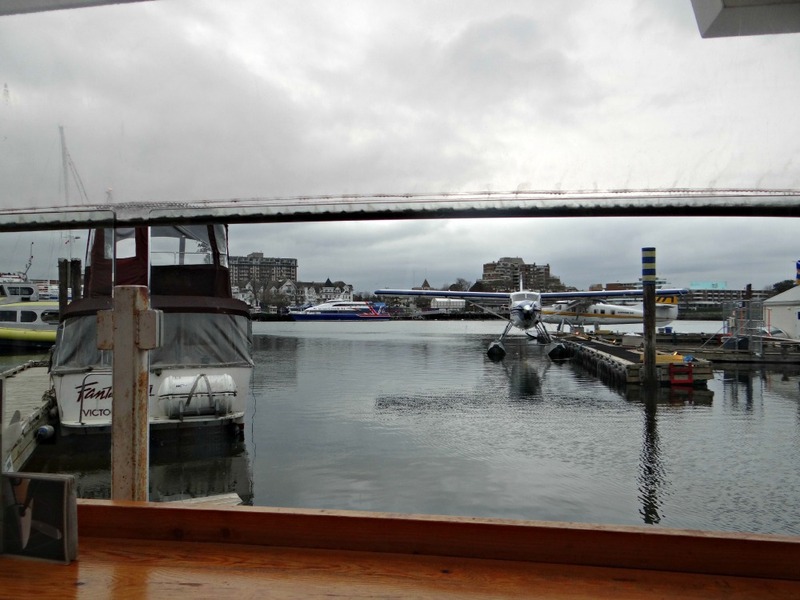 I felt like this is one of the best Victoria Restaurants for taking pictures of seaplanes and the harbor while still dining. My camera was busy and eager to capture lovely memories. I totally forgot why we are here until Chammi reminded me. We ordered our drinks. Dad and I went for local beer. Chammi likes her margarita. Orange juice for mom and Lapaly. 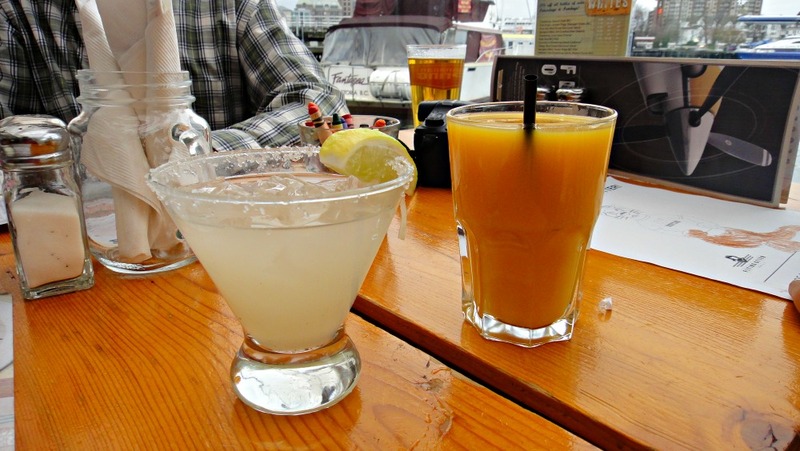 We sipped on our drinks. 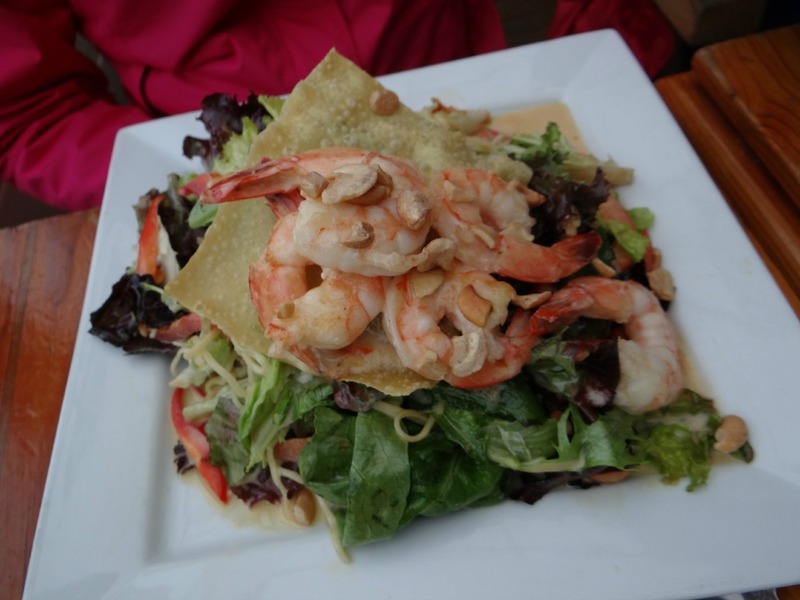 Everyone wanted something different to eat…. 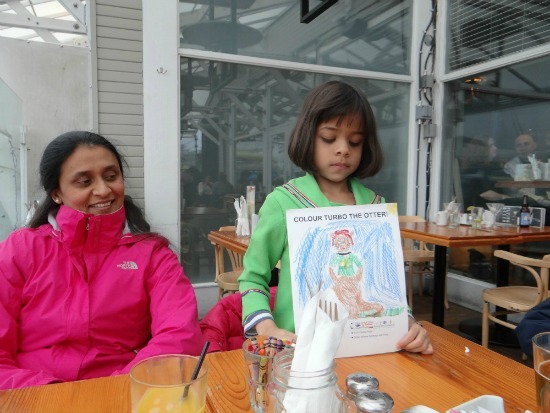 Lapaly wanted a Kid’s meal – Yes, They do have a nice kid’s menu. She got crayons and coloring papers too. A child friendly restaurant. 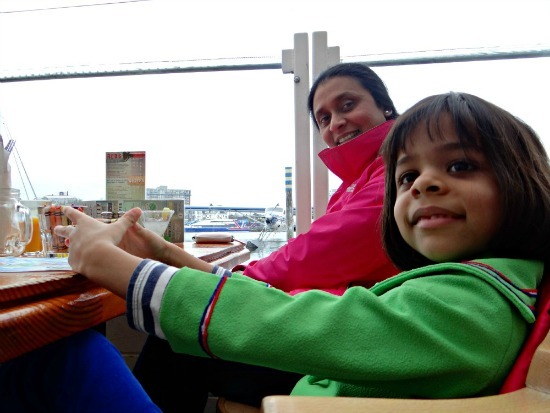 Another plus when you are journeying with kids. 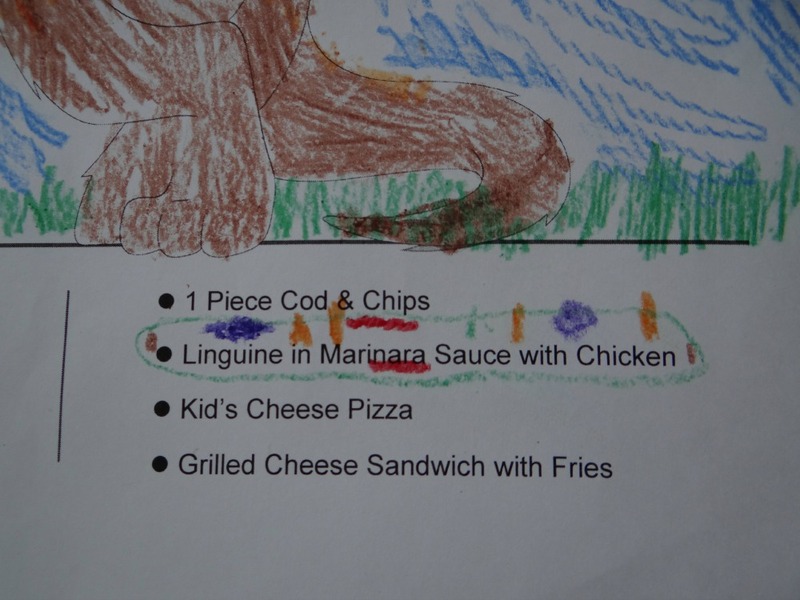 Lapaly settled down for a kid meal item - Linguine with Marinara Sauce with Chicken. Chammi picked a delicious mango salad with Chicken. I shared half of my order – Salmon Wellington with Chammi’s salad. Dad wanted grilled halibut fish, fresh cut fries and the Beer. Their Fish and Chips menu included beer battered fish and chips, fresh cut fries and tartar sauce with Halibut, Cod or Prawns. Mom tried Blackened wild BC Salmon with Quinoa Salad. 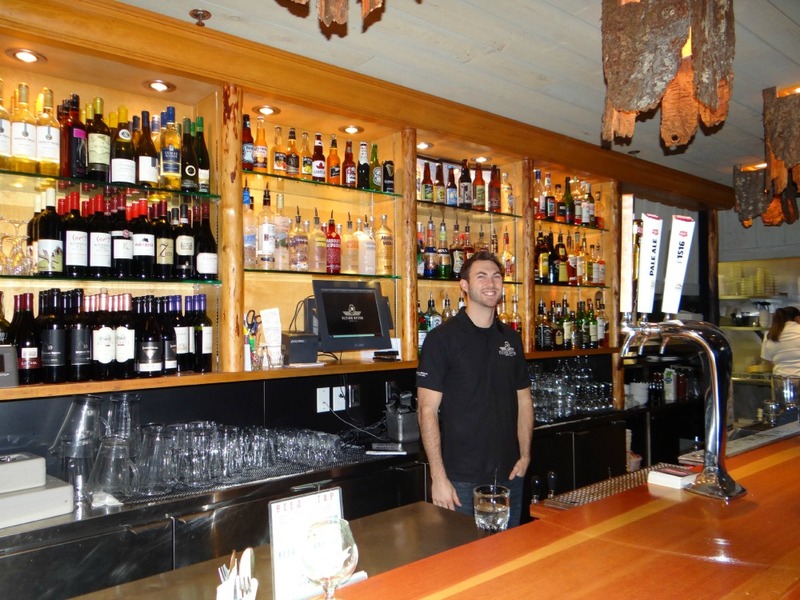 Note: Before I forget if you are a Harbor Air/Kenmore Air passenger, show your boarding pass/pager to the server to save 20% off of your food (except alcoholic beverages). Oh… lovely they are parts of culinary arts pleasing to our optics. I wanted to take more pictures so I can verify if I see them in my dreams. Everybody quiet over the dinner for a while. We just forgot to talk or perhaps maybe just scared that the flavor might fly out if we open our mouths too often. Chammi’s salad tasted really good I can tell you that because I ate almost half of it in exchange of half of my super delicious main plate - Salmon Wellington. Mom said blackened salmon with quinoa dish is superb. It's a meal that looks fabulous on the plate too. My dad sat in the corner near to an overhead heater and finished his hot grilled halibut with fries. Along the way out bartender with a genuine smile chat with us for a bit. I will stop here with my dad next time before meals. 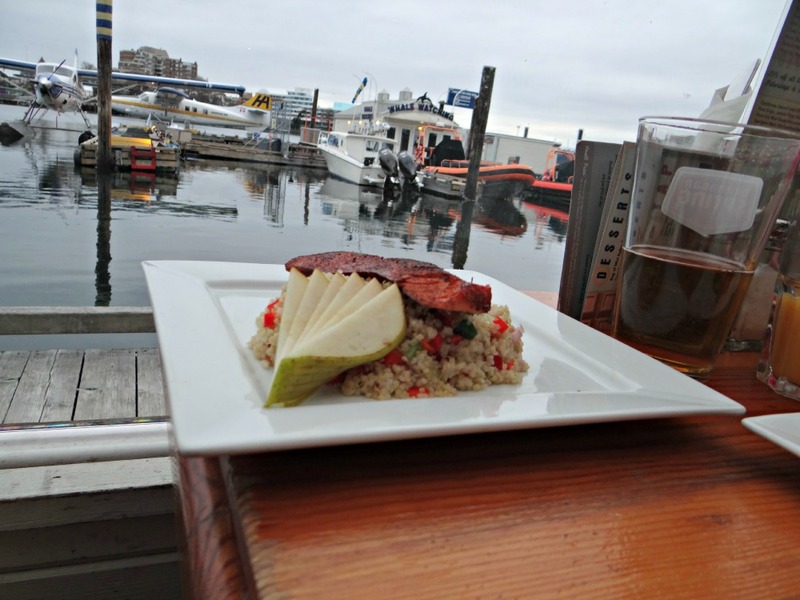 The Flying Otter Grill is an absolutely nice place to enjoy a meal. This restaurant sets out our vote as one of the best Victoria restaurants for Food and Location. Will I come back here again? Sure, I really want to visit here again to have a summertime by the sea dining experience.